During 2014 the Steamboat Springs market rebounded strongly. Total sales for 2014 were just over $1 billion, an increase of over 30% from 2013. Inventory at the end of 2014 of $1.212 billion was slightly greater than inventory at the end of 2013 but still below historical averages. 2014 saw significant increases in the sales of both single family homes and condos/townhomes, driving down inventory levels in both of those market categories. Multiple offers and bidding wars have returned to some market segments. 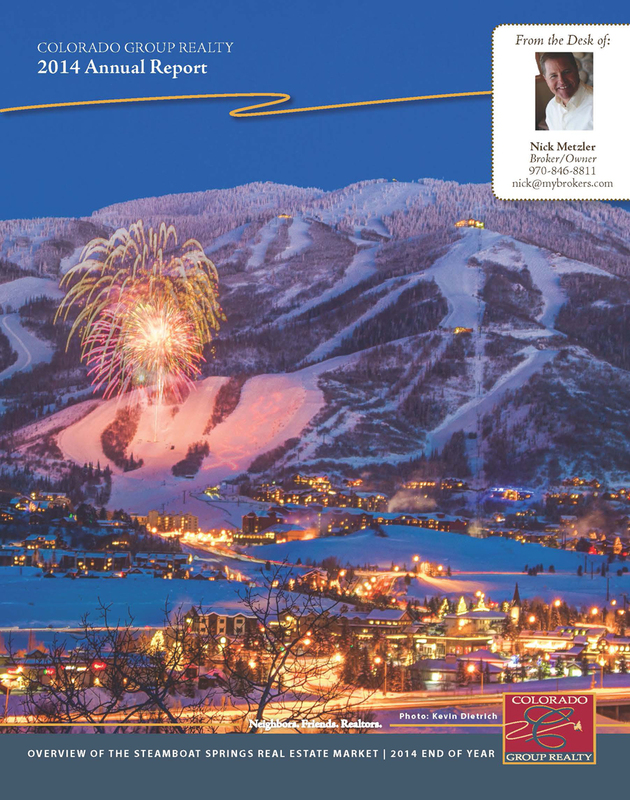 To view a digital version of the Steamboat Springs Real Estate 2014 Annual Update Report, please click here.